Moon Meals are a producer of plant-based meals using their proprietary vegan meats, cheeses and sauces for major retailers and food service operators. Their flagship product is a grab & go healthy burrito called the Fiesta Wrap, which has a meaty, cheesy and mildy spicy flavor, and can be enjoyed hot or cold. We spoke with Moon Meals about their inspirational story and plans for the future. Moon Meals™ are based in Chicago and their ready-to-eat products are available to buy throughout the Illinois area. They use local and organic ingredients to create delicious plant-based meals containing vegan meats, cheeses and sauces, which are supplied to major retailers and foodservice operators. The story of their founder, LaForce Baker, is an interesting one which has received widespread media attention; after growing up in poverty in Chicago he found he was able to restore his health using plant-based food, and so launched the company to make high quality, healthy plant-based meals more accessible to everyone at a reasonable price, with the aim of helping to debunk that myth that vegan foods are less affordable to the ordinary consumer. What is the story behind Moon Meals? Moon Meals was built to solve a simple and common problem: there weren’t any healthy, late-night snack for professionals in Chicago. 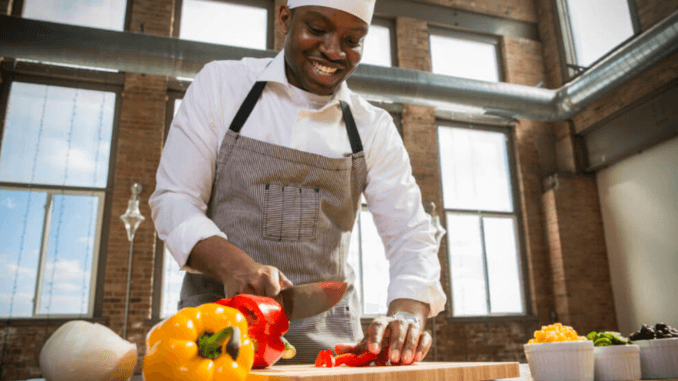 LaForce Baker, founder and executive chef of Moon Meals, found himself facing this very dilemma when he was working late as a marketing strategist for major brands like Kraft-Heinz, ConAgra and Nestlé. This problem was personal since he overcame poverty and being overweight as a child by changing his diet. LaForce left his corporate job to found Moon Meals in 2012 to offer “Healthy meals under the moon.” Originally a small delivery service, one large catering order placed by a well-known, Chicago-based corporation changed the business’s trajectory. Moon Meals made its retail debut at 12 small local coffee shops around Chicago. By 2015, Moon Meals food items could be found in grab-and-go sections of the largest grocery chain in the Chicagoland area, Jewel-Osco (Albertsons). What was the driving force behind the rapid success of Moon Meals in just a few short years? The driving force behind that rapid success of Moon Meals is our flagship product’s unique flavor profile, price point and availability. We have also pivoted the company over the past six years to better meet the needs of our customers, whether it was the end consumer or retailers. The product sits in the grab and go section of the deli of supermarkets and has gone from 20 to almost 200 locations in about 3 years. 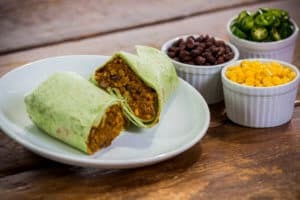 The Fiesta wrap is a healthy burrito, composed of our proprietary vegan chorizo, vegan nacho sauce, black beans, sweet corn, brown rice, chopped jalapenos and baby spinach in a spinach tortilla. It is such a hit because it tends to be one of the top-selling products, proportionally, in the category. Why now? Why do you think 2018 is the “year of the vegan” – and there is currently so much interest in vegan products? We believe that consumers want to eat healthier, consume less meat and increase the variety in their diet contributes to so much interest. A lot of interest, which why we are scaling the concept up regionally first to work out any issues for retailers interested in national and international expansion. Our Fiesta Wrap is the bestseller, because consumers can get the familiar deliciousness of a burrito but be comforted by the fact that its healthier and plant-based. North American currently, with an emphasis on the Midwest. However, our Fiesta Wrap is available for national distribution if a retailer is interested. Our mission is to make healthy meals that taste good more accessible to people. In your opinion, why should the ready-meal industry continue to rely on vegan products? Our products tend to be healthier, have less allergens and are better for the environment. We just got done closing a round of funding. However, we are open to other investors coming in to help fund our rapid expansion due to consumer demand.